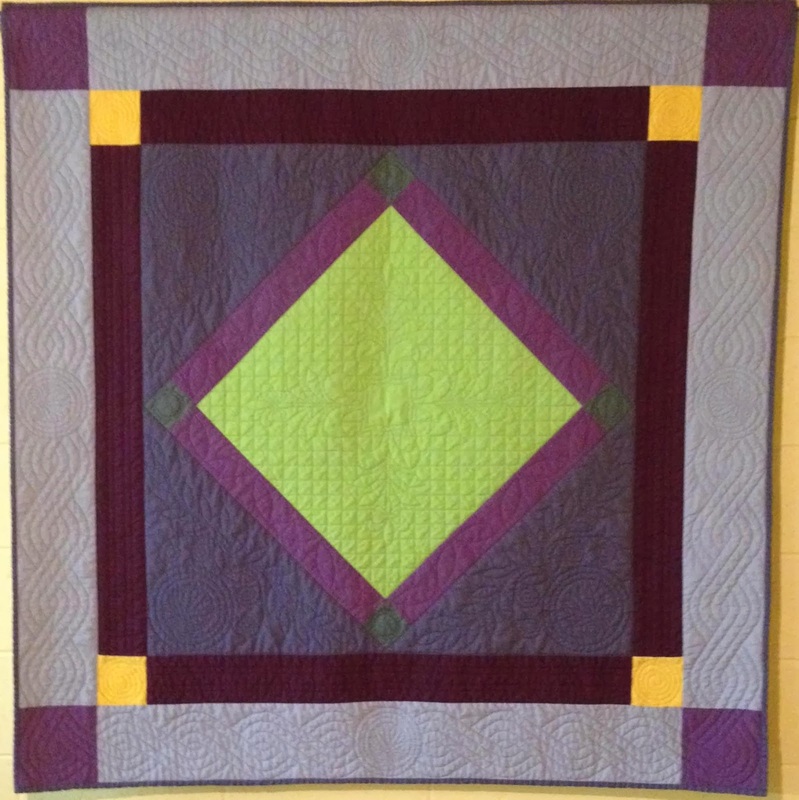 58 inches square, shipped free within the Continental United States. Please contact the artist for payment and shipping arrangements. 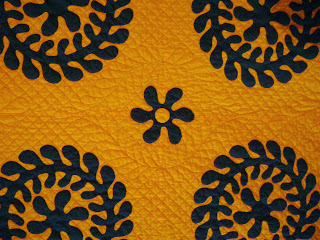 This is a 4-block, two-color applique’ quilt, made entirely by hand in 2011. Feathered Cheddar, shipped free within the Continental United States.